Jacket, Shoes & Shirt : ZARA. 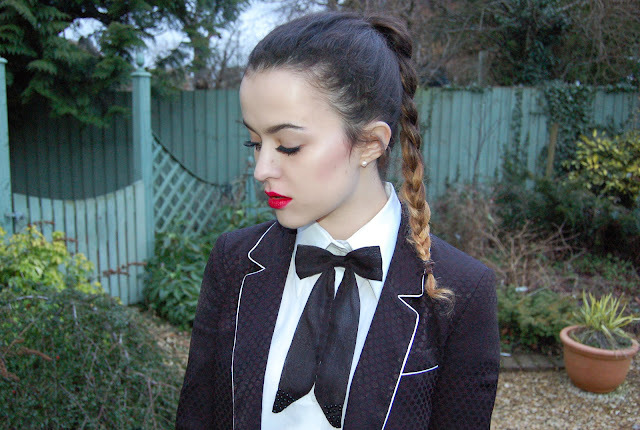 Bow-Tie : ASOS. 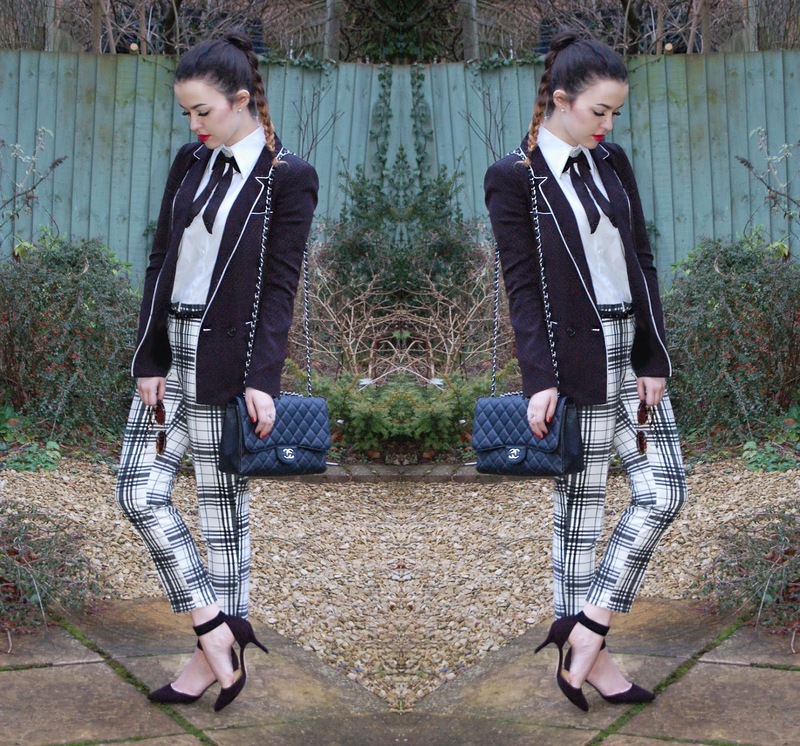 Trousers : Topshop. Sunglasses : Miu Miu. Bag : Chanel. You're looking very fine! Love the trousers. I love this outfit and your trousers! Plus I WANT your chanel bag! You can never go wrong with black and white, you look great! Arabella you pretty girl, i love your chanel bag <3!!!! Wow what a great outfit! 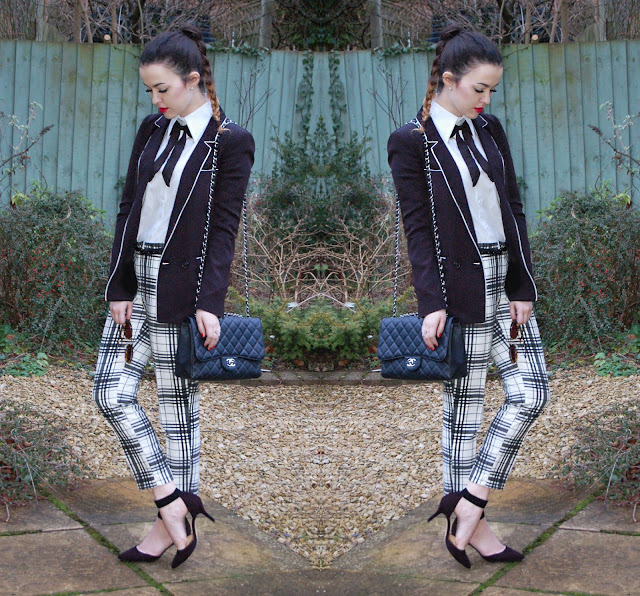 And the trousers are awesome, so glad I've seen them in the outfit post :) And I love the jacket and bow combo. I've recently started to like black and white, it's unusual for me! love your bag and the lipstick looks perfect on you! Amazing jacket and I love your trousers!!! Gorgeous outfit, so sleek and tailored. The pattern on the trousers in gorgeous. Love all the detailing; the bag, the shoes the bowtie. Those trousers are gorgeous, I love your style. I'm your new follower! i love black and white outfits, they are always in style and you can never go wrong. Just stumbled upon your blog via beautycrush.co.uk! Loving this outfit. You can never go wrong with black and white. I love your braid, your outfit it beautiful! I love your trousers!